Kanban in Action – process improvements now! And forever! This workshop will teach you the foundations of kanban in a very practical and entertaining way. Kanban can help you improve your process to more effectively deliver value – no matter what process you are working with now, or how good you are in doing it. Kanban is just a few basic principles and practices – but the implications of them is hugely powerful, and can change not only your team but in the long run help and improve the entire organisation around you. You will learn how to discover, little by little, how to improve your ways of working to something better than you could imagine, through the volutionary approach to process improvements. 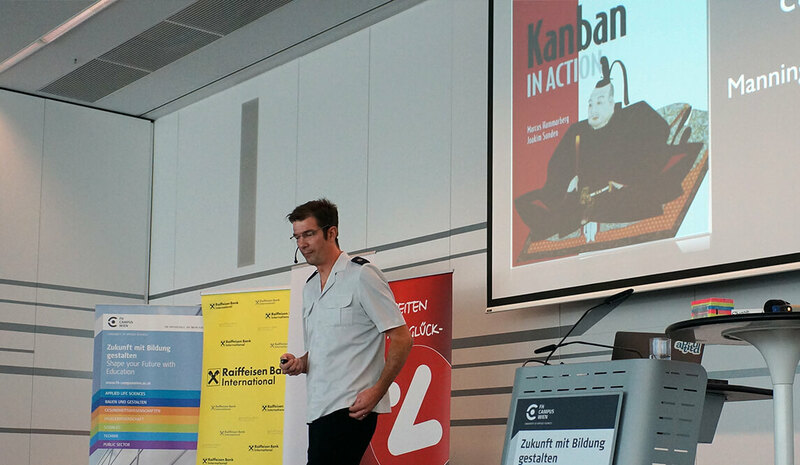 Kanban is “just” our guide – not a framework that tells you details on how and what. For this reason much of the content of the workshop will be driven by your needs, questions and context. This is better than me giving you a rigid framework that most likely will not suit your praticular need. Come with an open mind and any kind of process – leave with practical tips, know-how and ideas that will help you improve. Tomorrow, and forever! Tap your process on metrics to know how your work is working and where to improve. Practical knowledge in how to handle up/downstream processes such as ideas etc. And how to organise that Inspiration to go on and start your improvement journey – from now until better than you ever imagined! For 15 years Marcus Hammarberg has been doing agile and lean software development and helping others do it. He has worked in many different settings, from big banks and insurance companies, to start-ups and within retail. At one big insurance company, the first agile team, started by Marcus, eventually spread to a lean initiative across the business. As a consultant Marcus helps individuals, teams, and whole organizations improve their value delivery flow. Marcus is still a keen programmer and continues to practice and teach the concepts that helped him become a good programmer: TDD, Specification by example, functional programming and Node.